Data in this gallery is derived from 31 of Utilimarc's municipal benchmarking clients (cities, states, and counties) providing 44,000 data points. Each of the numbers presented is an average over the years 2015-2017. 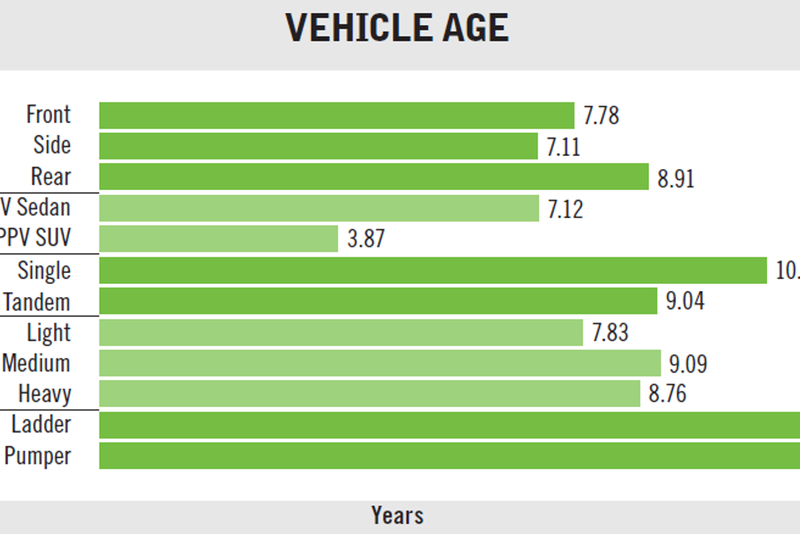 For these charts, a light truck is defined as 1/2-ton, medium truck as 3/4 ton, and heavy is a full ton or more.